Katherine Lorenz was elected president of the Cynthia and George Mitchell Foundation in January 2011. In late 2012, Forbes Magazine named Katherine "One to Watch" as an up-and-coming face in philanthropy. Katherine formerly worked as deputy director for the Institute for Philanthropy, whose mission was to increase effective philanthropy in the United Kingdom and internationally. Prior to that, Katherine lived in Oaxaca, Mexico for almost six years where she co-founded Puente a la Salud Comunitaria, a nonprofit organization working to advance food sovereignty in rural Oaxaca state through the integration of amaranth into the diet. She continues to be involved with Puente's work as a board member. Before founding Puente, she spent two summers living in rural villages in Latin America with the volunteer program Amigos de las Américas and later served on their program committee and as a trustee of the Foundation for Amigos de las Americas. Katherine serves on the board of directors of the Environmental Defense Fund, The Philanthropy Workshop (chair), Exponent Philanthropy, the Endowment for Regional Sustainability Science, and the National Center for Family Philanthropy. She was formerly a board member of Resource Generation, the Amaranth Institute, and a member of the National Academies' Roundtable of Science and Technology for Sustainability. 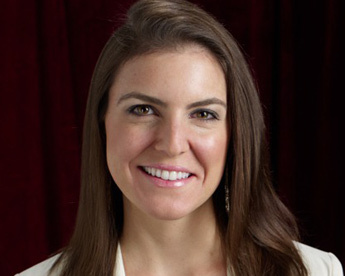 Katherine is a member of the Global Philanthropists Circle of the Synergos Institute and serves on the Leadership Council of the Greater Houston Community Foundation. She served two years on the Council on Foundations Committee on Family Philanthropy and served on their 2012 and 2013 Family Philanthropy Conference Planning Task Force. Katherine is a frequent guest speaker on topics related to environmental sustainability, next generation philanthropy, and non-profit leadership. She holds a B.A. in Economics and Spanish from Davidson College.